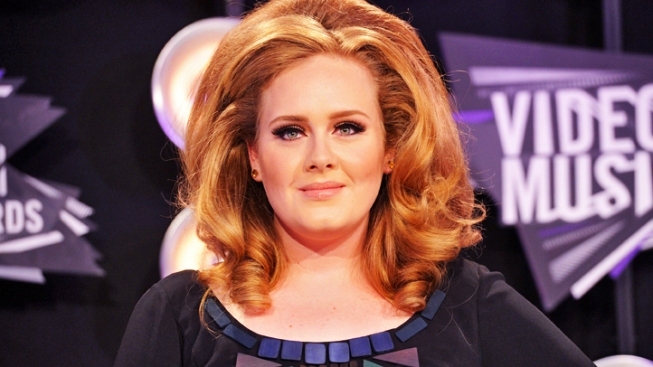 Will have surgery "to alleviate the current issues with her throat"
Singer Adele has been hobbled by medical problems. Adele's voice has given her the biggest success this year — and the most trouble. The singer will have throat surgery and has now canceled all tour dates and promotional appearances for the year. Columbia Records announced Friday that the "Rolling in the Deep" singer will have surgery "to alleviate the current issues with her throat." A full recovery is expected. Earlier this month, the 23-year-old canceled a U.S. concert run due to a hemorrhage in her vocal chord; she also canceled concerts in June due to laryngitis. The statement said that doctors have ordered the Grammy winner to rest her voice and "completely recuperate before looking to schedule any work commitments." Adele's "21" is the best-selling CD of the year in the United States; it's sold over 4 million units.